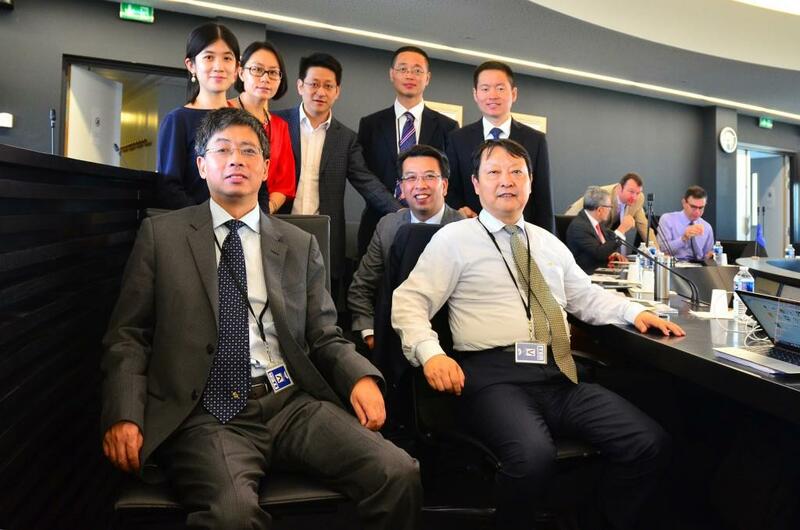 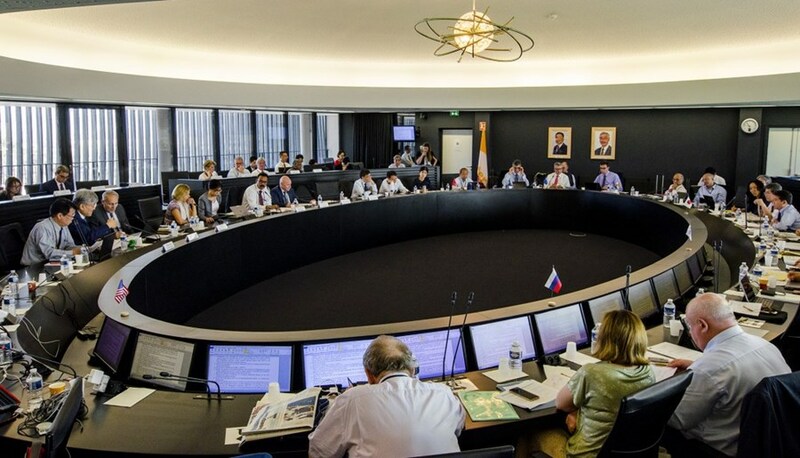 The ITER Council acknowledged the improved collaboration of the One-ITER team—the ITER Organization and seven Domestic Agencies—and confirmed that the project is on track to success. 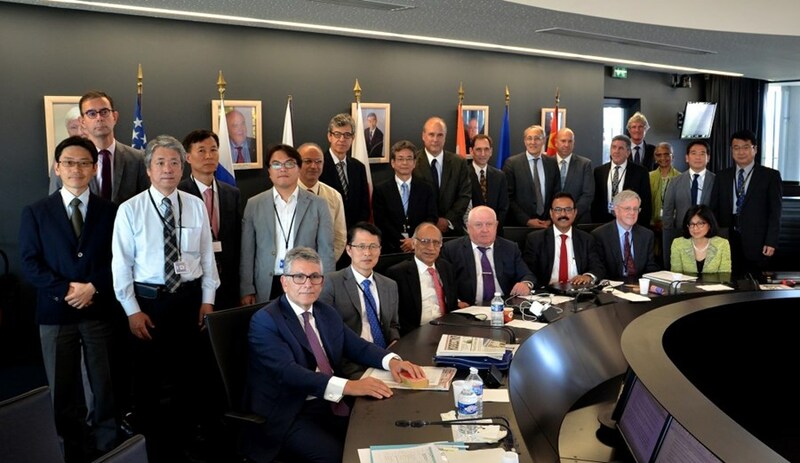 Project execution towards First Plasma in 2025 is now over 55% complete. 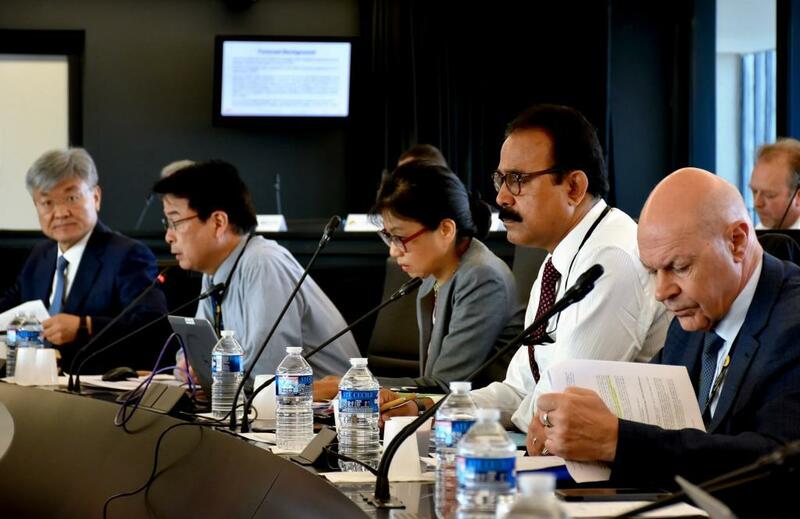 Download the full press release in English and French. 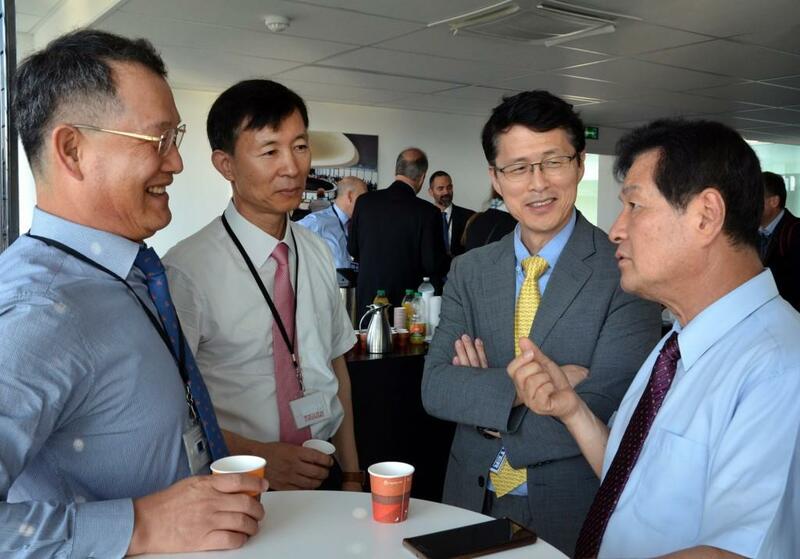 Pictured, left to right: Hyeon Gon Lee, ITER Korea Deputy Director-General, NFRI; Suk Jae Yoo, NFRI President; Won-ho Choi, Head of Delegation, Director-General Space, Nuclear and Big Science Policy Bureau, Ministry of Science and ICT; Kijung Jung, Director-General ITER Korea, NFRI. Gyung-Su Lee, ITER Chief Operating Officer, Deputy Director-General; Eisuke Tada, ITER Relations Coordinating Officer, Deputy Director-General; Sachiko Ishizaka, ITER Council Secretary; Arun Srivastava, Council Chair; and Oleg Patarakin, Chair of the ITER Council Management Advisory Committee (left to right). 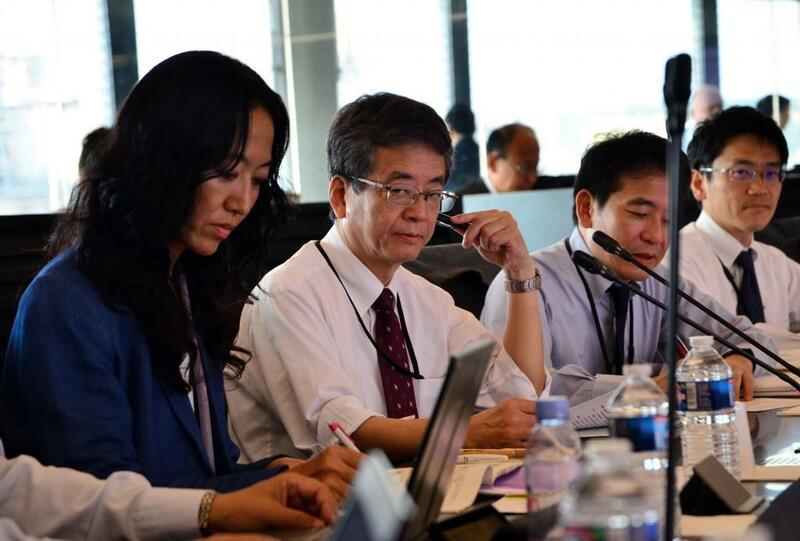 Naomi Toda, interpreter; Yoichi Ito, Head of Delegation, Deputy Minister of Education, Culture, Sports, Science and Technology (MEXT); Shigekazu Matsuura, Director, International Nuclear and Fusion Energy Affairs Division, Research and Development Bureau, MEXT; and Junichiro Otaka, Director, International Science Cooperation Division, Disarmament, Non-proliferation and Science Department, Ministry of Foreign Affairs (left to right). 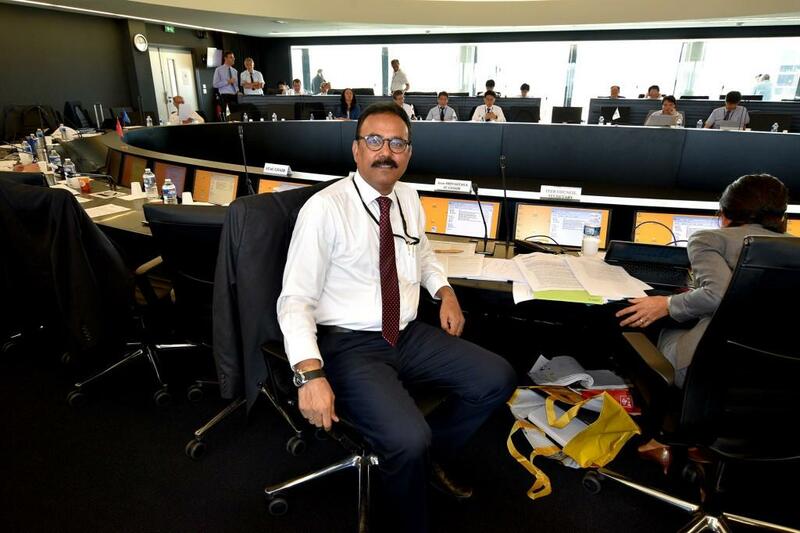 Arun Srivastava, from India, became ITER Council Chair on 1 January 2018. 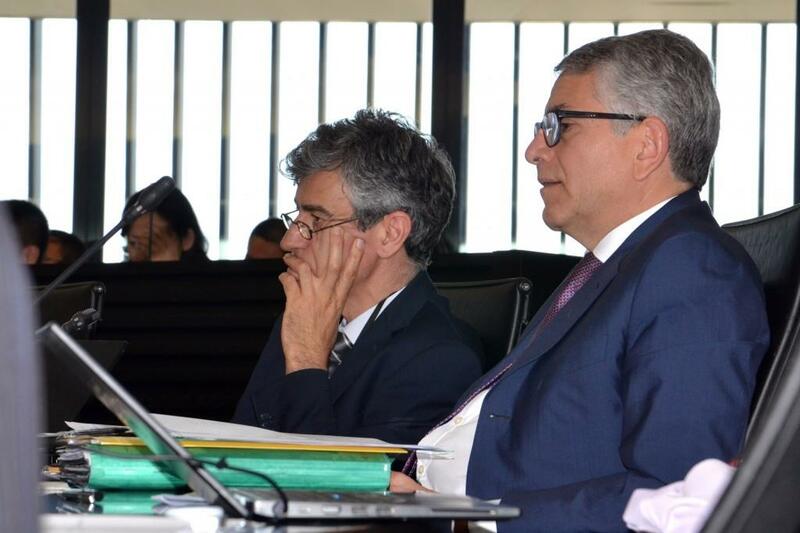 Joaquín Sánchez, Chair of the European Domestic Agency Governing Board, and Gerassimos Thomas, Head of Delegation, Deputy Director-General of the European Commission's Directorate-General for Energy. 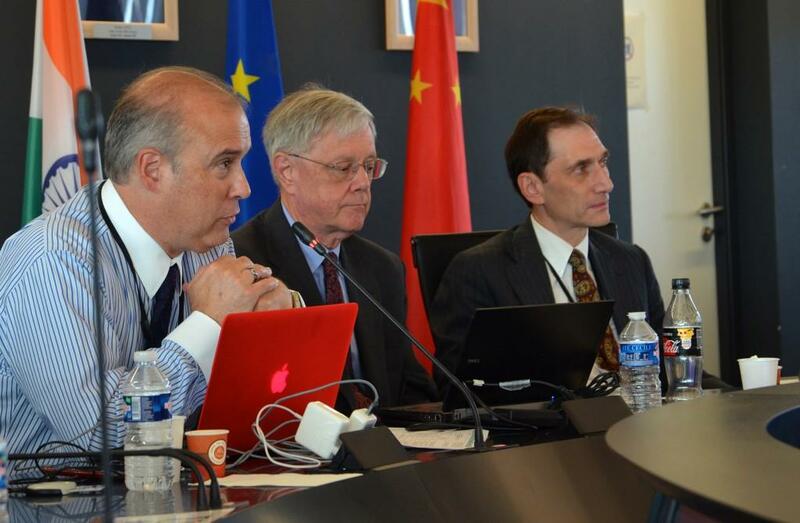 Thomas J. Vanek, Senior Policy Advisor, Office of Fusion Energy Sciences, Office of Science, US Department of Energy (DOE); Steve Binkley, Head of Delegation, Acting Director of the Office of Science, US DOE; Jonathan Margolis, Deputy Assistant Secretary for Science, Space, and Health Bureau of Oceans and International Environmental and Scientific Affairs, US Department of State (left to right). 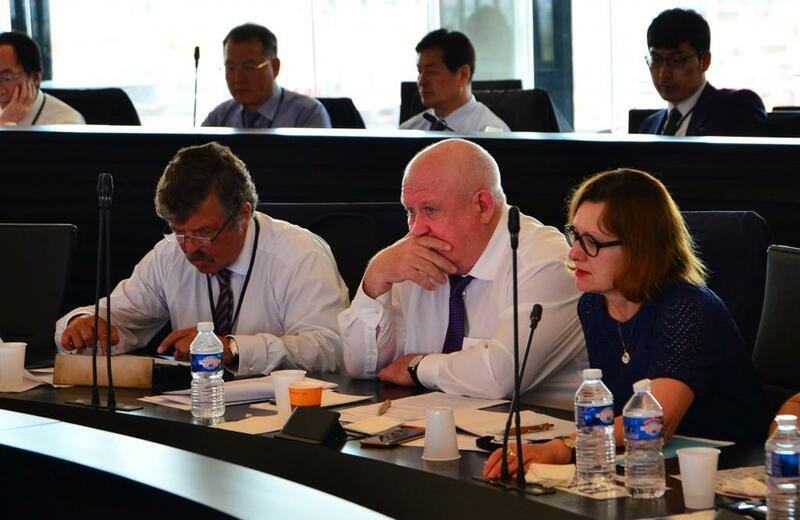 Viacheslav Pershukov, special representative of the Atomic Energy Corporation ROSATOM on International and Science and Technology Projects; Igor Borovkov, Head of Delegation, Deputy Chief of Staff of the Government Executive Office of the Russian Federation; and Marina Zbaratskaya, interpreter (left to right). 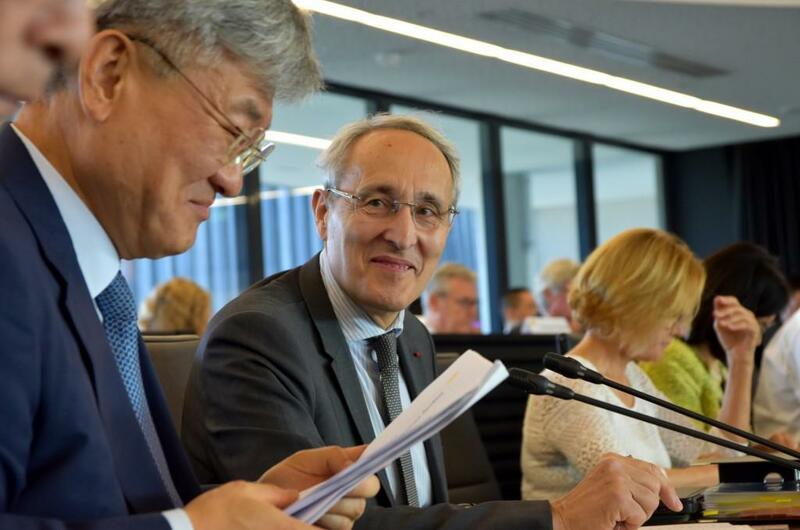 ITER Director-General Bernard Bigot (right) and Chief Operating Officer, Deputy Director-General Gyung-Su Lee. 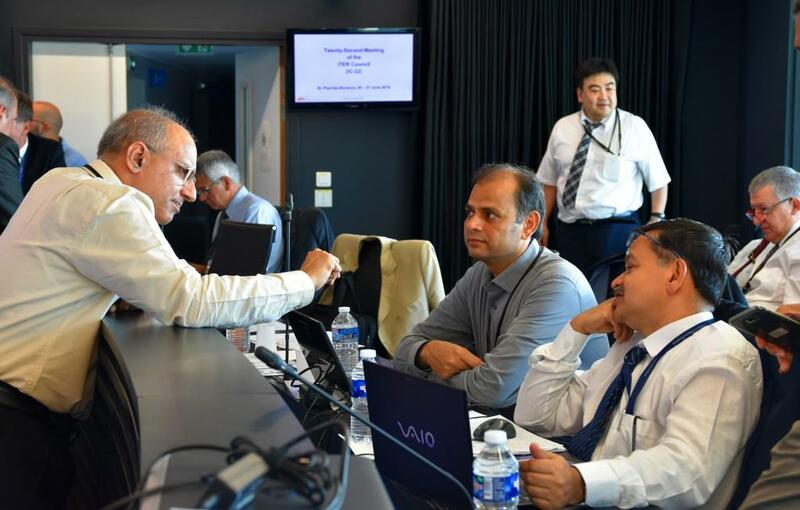 Shashank Chaturvedi, Director, Institute for Plasma Research (IPR); Mahaboob Basha Syed, India Contact Person for ITER, Department of Atomic Energy; Ujjwal Baruah, Project Manager, ITER India, IPR (left to right).